A nonprofit has plans to bring a six-story supportive and affordable housing development to Glendale. WellLife Network, which operates more than 350 supportive housing units throughout the city, presented their plans for a new 66-unit project at 80-97 Cypress Ave. during a Community Board 5 Zoning and Land Use Committee meeting on Monday. The nonprofit plans on serving homeless and at-risk individuals, including senior citizens, and community residents who meet low-income eligibility criteria in a new development at the site, which currently has a vacant building. Of the 66 units, 20 will be for homeless or at-risk individuals, young adults, or families with children where one adult family member has a serious mental illness or other disabling condition. As part of the project, WellLife Network is filing for a zoning variance with the Board of Standards and Appeals. The application also follows a Department of Building filing submitted this August for the project, but with slightly different parameters at the time. As of yet, there is no expected completion date for the WellLife Network supportive housing project, and no filings have been put through to demolish the existing abandoned structure on the property. The nonprofit, according to reports, has been trying to develop the vacant property for nearly two decades. In 2000, for instance, WellLife Network attempted to build a psychiatric facility that could house 18 patients. The full community board will hear the development plans at the upcoming Nov. 14th full board meeting. While the final decision for approval of the project will come from the BSA, the community board will make a recommendation for or against the requested zoning variance that would bring about the 66-unit structure. The project comes as Glendale and other neighborhoods within Community Board 5 have expressed reservations about large-scale housing for the homeless in their community in recent months. 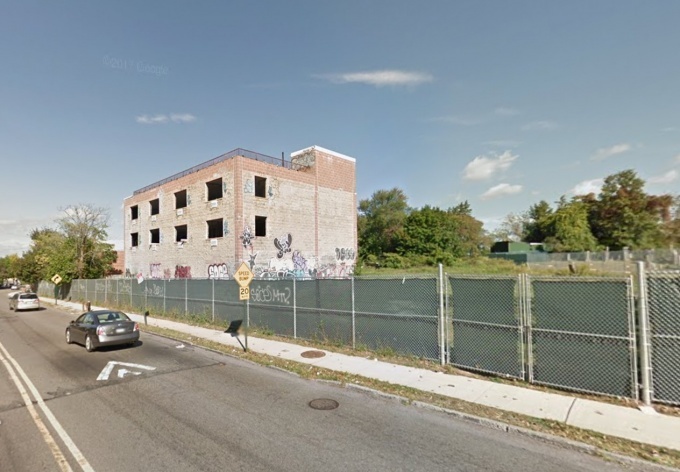 Rumors began to circulate earlier this year that a shelter would be coming to 78-16 Cooper Avenue. Plans for that location, however, are still up in the air, with Council Member Robert Holden aiming to turn it into a new state-of-the-art school. In neighboring Maspeth, a proposal for a shelter at P.S. 9 also received severe community backlash. At an Oct. 18 Juniper Park Civic Association Meeting, Holden said he would prefer to see that location turned into a supportive, transitional facility rather than a shelter for the homeless. The Department of Homeless Services has been actively looking for a shelter site in southwestern Queens as part of Mayor Bill de Blasio’s Turning the Tide On Homelessness program.